Quench dry skin with the Hydra-Therapy Bespoke Cleansing Set from Erno Laszlo, a duo of skincare treatments expertly formulated with advanced technologies, antioxidants and essential vitamins to create a bespoke regime. When combined, the cleansing oil and bar create a purifying mask that effectively sweeps away dirt, oil and impurities from pores. Suitable for all skin types, you can expect nourished, ultra-cleansed skin with a radiant glow. Removes dirt and impurities while restoring moisture back into dry, dehydrated, lacklustre skin. Bursting with natural essential oils including Avocado, Jojoba and Grapeseed, the lightweight formula is rich in vitamins and antioxidants, working to restore and preserve skin’s natural barrier and seal in hydration without causing tightness or leaving an oily residue. Rosemary Extract helps to minimise the appearance of fine lines while Sunflower Oil nourishes and antioxidant, fatty acid-rich Macadamia Nuts protect against external aggressors. Suitable for daily use and quickly absorbed, the deeply moisturising cleansing oil delivers instant hydration whilst efficiently cleansing to leave skin feeling softer, smoother and revitalised. Providing gentle cleansing without drying or stripping, the botanical-rich cleansing bar is bursting with an exclusive plant oil complex that helps seal in moisture and form a protective barrier. Enriched with Safflower Seed Oil to soothe and soften as well as Glycerin, which acts as a natural magnet for intensive hydration. Extracts of Rosemary and Macadamia Nuts provide protective antioxidant properties, while nourishing Sunflower Oil protects and conditions. Suitable for all skin types, you can expect deeply moisturised, ultra-cleansed skin with a radiant glow. Gently apply a generous amount in small circular motions on dry skin. Massage over face and jawline to open pores and trap dirt and makeup on the face. Follow with the Phelityl Cleansing Bar to complete your bespoke Double Cleanse Ritual, for clear, balanced skin. Cleansing Oil: Rosa Canina Extract, Caprylic/Capric Triglyceride, Tocopherol, Ascorbyl Palmitate, Tetrahexyldecyl Ascorbate, Beta-Carotene, Hydrogenated Polyisobutene, Ethylhexyl Palmitate, Simmondsia Chinensis (Jojoba) Seed Oil, Vitis Vinifera (Grape) Seed Oil, Persea Gratissima (Avocado) Oil, Prunus Armeniaca (Apricot) Kernel Oil, Sesamum Indicum (Sesame) Seed Oil, Helianthus Annuus (Sunflower) Seed Oil, Daucus Carota Sativa (Carrot) Root Extract, Daucus Carota Sativa (Carrot) Seed Oil. Cleansing Bar: Sodium Palmate, Sodium Palm Kernelate, Water (Aqua/Eau), Glycerin, Carthamus Tinctorius (Safflower) Seed Oil, Parfum (Fragrance), Sodium Chloride, Ethyl Macadamiate, Sulfonated Castor Oil, Tetrasodium Edta, Tetrasodium Etidronate, Evernia Prunastri (Oakmoss) Extract, Benzyl Benzoate, Ci 77491, Ci 77492, Ci 77499 (Iron Oxides), Ci 77891 (Titanium Dioxide), Ci 77289 (Chromium Hydroxide Green). I've never used any other double cleanse products before but as a beauty fanatic I'm always up for trying new skincare trends. I have tended to avoid soap for cleansing in the past as it dries my skin out but mixed with the cleansing oil as the pre-step it leaves your skin soft and supple. Will definitely be repurchasing! I've used this cleansing set for a couple of weeks now and it's been great so far. The oil was a little different than anything I've used before but in combination with the cleansing bar it makes sense. Very hydrating during this dry winter season too! I've used this product a few times now and my skin feels amazing every time. I don't think I've ever used a cleanser that makes my skin feel so clean and moisturized, it's easy to do, effective, and the act of using the bar really makes you feel like your removing all of the makeup, dirt or anything else. Think that these bars would work with virtually any cleanser but this one is so great. I am new to the world of double cleansing, so I was wary of how this would react on my skin. I am happy to say that it has worked wonderfully so far! I don't have too many problems with my skin, but I do live in a very dry climate, so anything I can do to increase my skin's hydration is great! This definitely helped my skin feel more hydrated. 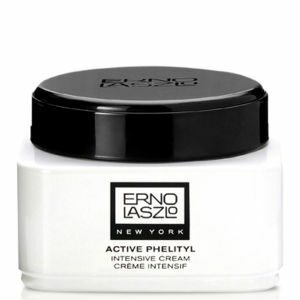 I recently discovered Erno Laszlo products and won't be changing my routine any time soon! This travel pack is a handy size and I keep it in the shower and use daily. The oil isn't greasy and leaves my skin feeling soft and clean, can't wait to try one of the other sets when this set runs out!